SAN DIEGO, CA, September 19, 2017 /24-7PressRelease/ — Pardee Homes received multiple awards for its outstanding communities and home design at the Building Industry Association (BIA) of San Diego County’s Icon Awards held Saturday, September 16 in downtown San Diego. 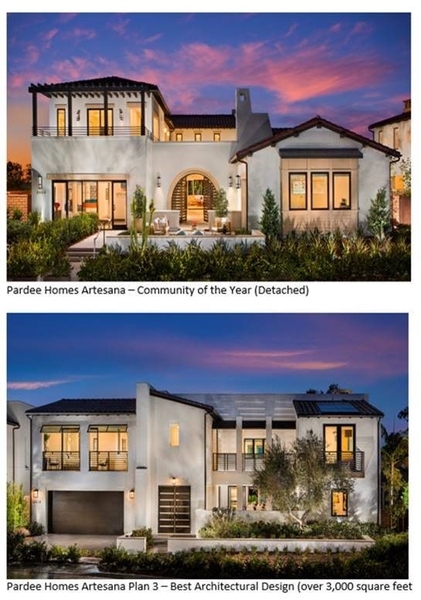 Pardee’s Artesana neighborhood, a collection of 56 luxury residences in the award-winning Pacific Highlands Ranch master planned community, was recognized as the detached community of the year. The BIA Icon Awards is an annual event that showcases and celebrates the local building industry’s most distinguished accomplishments, as well as projects that have significantly contributed to the betterment of the local industry. Pardee Homes and its team of consultants took home a total of five awards and were finalists in 10 categories. –	Winner: Artesana Plan 3, Best Architectural Design – Single Family Home, Over 3,000 sq. 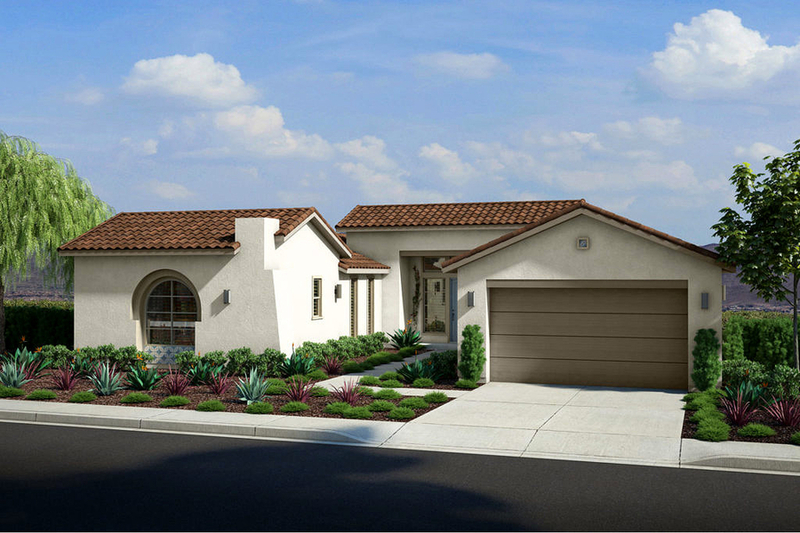 ft.
–	Winner: Olvera Plan 1, Best Interior Design – Single Family Home, 2,500 – 3,000 sq. ft.
–	Winner: Almeria Plan 3, Best Interior Design – Single Family Home, Over 3,500 sq. ft.
–	Finalist: Casavia Plan 2, Best Architectural Design – Single Family Home, Under 3,000 sq. ft.
–	Finalist: Casavia Plan 3, Architectural Design – Single Family Home, Under 3,000 sq. ft.
–	Finalist: Almeria Plan 3, Best Architectural Design – Single Family Home, Over 3,000 sq. ft.
–	Finalist: Artesana Plan 1, Best Architectural Design – Single Family Home, Over 3,000 sq. ft.
–	Finalist: Artesana Plan 2, Best Architectural Design – Single Family Home, Over 3,000 sq. ft.
–	Finalist: Casavia Plan 3, Best Interior Design – Single Family Home, 2,500 – 3,000 sq. ft.
–	Finalist: Olvera Plan 2, Best Interior Design – Single Family Home, Over 3,500 sq. ft. In addition to its outstanding communities and homes, Chris Nichols, Pardee Homes’ sr. land development superintendent, was also recognized as Superintendent of the Year. Nichols oversees development in Pardee’s master planned communities of Pacific Highlands Ranch and Weston. Pardee Homes’ winning entries will now move forward for consideration at the SoCal Awards to be held on September 30, and may have the opportunity to be considered for national awards later in the year. For more information on Pardee Homes’ award winning communities, visit www.pardeehomes.com. Established in 1921, Pardee Homes is recognized for superior master-planning concepts, quality construction, energy-efficient building practices, responsive customer service and dedication to the educational and civic goals of the communities in which it builds. Pardee Homes was one of the first builders in San Diego to embrace sustainable building practices and continues to build consideration for the planet into every home and community. Pardee Homes is a member of TRI Pointe Group (NYSE: TPH), a family of premium regional homebuilders supported by the significant resources, economies of scale and thought leadership of a national foundation. The family also includes Maracay Homes in Arizona, Quadrant Homes in Washington, Trendmaker Homes in Texas, TRI Pointe Homes in California and Colorado, and Winchester Homes in Maryland and Virginia – all together making TRI Pointe Group one of the largest homebuilding companies in the U.S. For more information please visit www.pardeehomes.com.